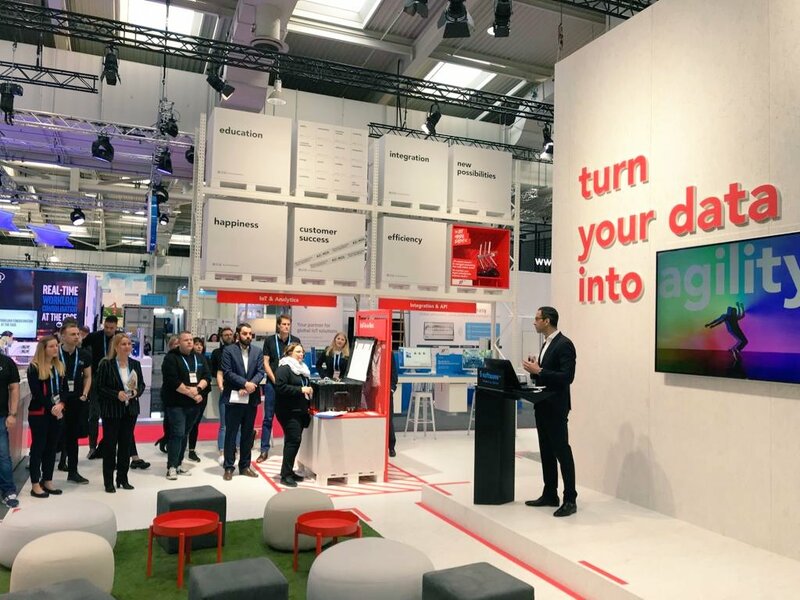 PrEstocloud belongs to one of the research projects which will be shown at Hannover Messe 2019 at the booth of Software AG. From 1 to 5 April, Software AG’s research manager will be there to share the research findings to visitors from the manufacturing industries and the energy sector. One of the PrEstoCloud highlights on Hannover Messe will be the interactive presentation of consortium members. Under the title “Software AG Research – Designing future of CVS Mobile Logistics with European partners in Horizon 2020,” Dirk Mayer, Software AG will present the project and Marija Kokelj and Sebastijan Vagaja, both from CVS Mobile, will introduce the CVS logistic pilot, which belongs to one of the three uses cases: Vehicle telematics produce big volumes of multi-modal data; consequently, vehicle management is becoming a highly data-centric task. The use case scenario presents a transport logistics solution with analytics on telematics data that is able to extract important information through real-time computation at the edge of the network. An open discussion about transferability to other domain and industries will enable the exchange with the visitors.